Sadly, the longer people are on dialysis, the more their health deteriorates, making them less likely to qualify for a donated kidney when one becomes available. Every year, about 9,000 people die before receiving their long-awaited kidney. #1. Add your name to as many organ registries as possible—particularly those in OPOs where the wait for a kidney is relatively short. At present these include, but are not limited to, transplant centers in Arizona, Iowa, upstate New York, Wisconsin, Minnesota, Kansas, and parts of Florida. You don’t have to live in the OPO to join the list; however, you do have to be willing and able to jump on a plane and get there on short notice should a kidney become available. #2. Work to find a living donor. 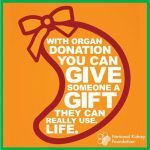 There are many benefits to a living kidney donation: they are more likely to begin working immediately; they last, on average, twice as long as one from a deceased donor (nearly 20 years, rather than nearly 10); and they shorten the waiting list for others. To find a living donor, however, you’ll have to educate them because most people are unaware of the possibility of donating a kidney and those who are often have many misconceptions about living kidney donation. #1. People can live normal, healthy lives with one kidney. 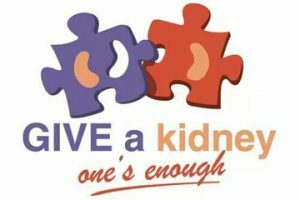 In fact, it’s not particularly rare for someone to be born with just one kidney—and their life expectancy is the same as someone born with two. The single kidney expands to accommodate the work of two kidneys. #2. Your second kidney is not a spare in case something happens to the other one. Unfortunately, most kidney disease affects both kidneys simultaneously. No one knows why most people are born with two kidneys—unless, perhaps, it’s to donate one! #3. You will move to the top of the kidney recipient list should something happen to your remaining kidney after you’ve donated one. That’s only fair. #4. You don’t have to be a perfect match for your donor. Current medical technology enables successful transplantation even among donors and recipients with different blood types. And if you’re willing to donate to a paired-exchange program, you don’t have to be a suitable match for your intended recipient at all. Your willingness to donate means that your kidney will go to the best-matched recipient, while your intended recipient will get the kidney that is the best match for them. #5. You can still have a baby. Women can still conceive and deliver a baby with one kidney; donation does not affect men’s fertility. #6. The surgery is safe. Other than the risks that accompany any surgical procedure, kidney donation surgery is safe. Most surgeries are done laparoscopically now, meaning smaller incisions and minimal downtime. #7. The recipient’s insurance will cover the donor’s surgery. However, the donor is still likely to miss work—up to six weeks of it, if their work involves heavy physical labor. This—along with travel to the transplant center, if required—can be a financial disincentive to donation. Although there are some organizations* that will help compensate donors for these costs, as the intended recipient, you can offer to reimburse them for lost wages and other costs and/or can fundraise on their behalf. * National Living Donor Assistance Center and ALODF (American Living Donor Fund) are two. #8. There is no set age limit on donating. The key factor is donor health. A healthy 70-year-old may be able to donate, while a 20-year-old in poor health may not. #9. Donors don’t have to take anti-rejection medication. For some reason, this idea persists. The recipient takes anti-rejection drugs; not the donor. #10. You can donate if you have tattoos, consume marijuana, or drink. There may be other reasons not to do these things, but donating a kidney is not among them. In other words, these people are helpers; they’re the ones who are always willing to help. Often they have a personal connection to kidney transplantation—they know someone who donated, or who received, a kidney, so the idea is not new to them. Another characteristic is that faith is an important part of their lives. They believe they are here for a spiritual—rather than a material—purpose and are willing to act on that belief.